2. 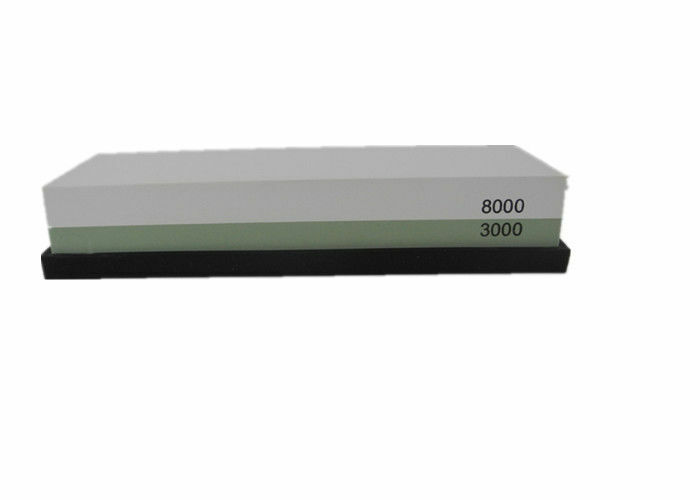 Double-sided sharpening design (3000 grit coarse grinding and 8000 grit fine grinding). 3. 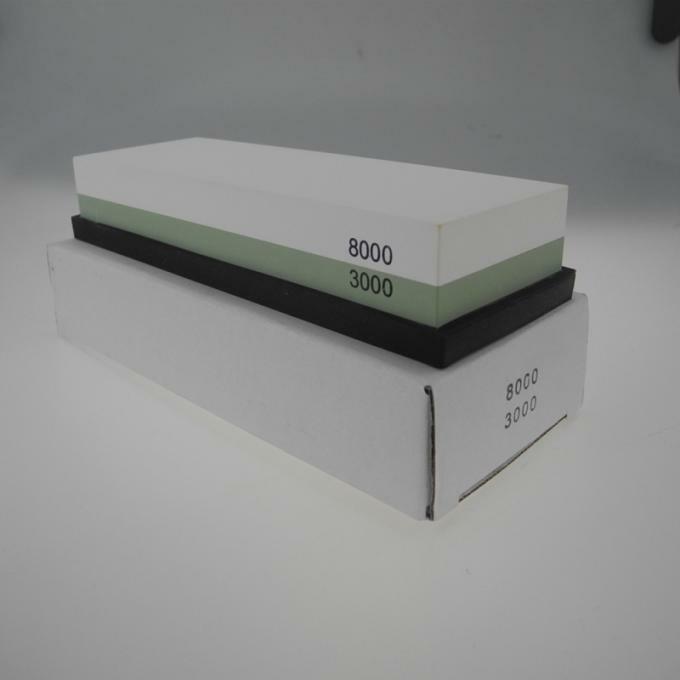 Equipped with a silica gel non-slip base that ensures safe sharpening. Soak the stone in the water for 5 minutes and then put it on a steady surface such as a table or desk. Sharpening the knives with one or two steps is decided by the dullness of the blade. 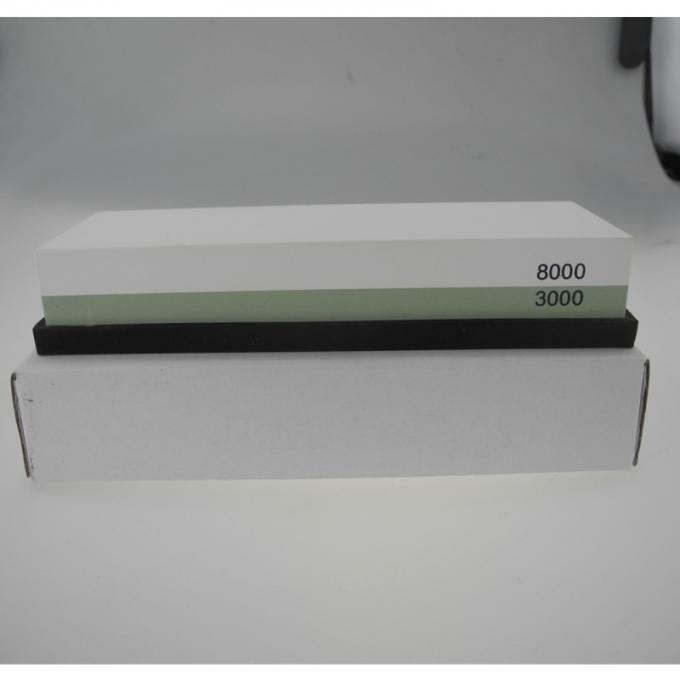 until the edge sharpness meets your standards. After sharpening the tool it is recommended to hone the blade with 3000 coarse grinding after 6 months. Of course, this depends on the use of the blade and user frequency will vary. pressure, repeat step 1, and repair the edge until it has a smooth and fine edge. General speaking, use the 8000 grit once a week to keep your blade sharp.